Was the Gujarat government being thick-skinned or was it just wishful thinking? After the Supreme Court described the leaders of the Gujarat government as "modern day Neros who were looking elsewhere when innocent children and women were burning", and ordered the re-trial of the Best Bakery case in Maharashtra, the Gujarat government filed an appeal recently against the transfer. While dismissing the petition, the Court came down even heavily on the Gujarat State government saying that its "sympathies were more for the accused than the victims". 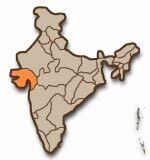 Zahira Habibulla H. Sheikh and Another vs State of Gujarat and Others. Judgment by Justice Doraiswamy Raju and Justice Arijit Pasayat on April 12, 2004. When a large number of witnesses have turned hostile it should have raised a reasonable suspicion that the witnesses were being threatened or coerced. The public prosecutor did not take any step to protect the star witness who was to be examined on May 17, 2003, especially when four out of seven injured witnesses had on May 9, 2003, resiled from the statements made during investigation. Zahira Sheikh, the star witness, had specifically stated on affidavit about the threat given to her and the reason for her not coming out with the truth during her examination before the Court on May 17, 2003. The public prosecutor was not acting in a manner befitting the position held by him. He even did not request the Trial Court for holding the trial in camera when a large number of witnesses were resiling from the statements made during investigation. The trial court should have exercised power under Section 311 of the Code and recalled and re-examined witnesses, as their evidence was essential to arrive at the truth and a just decision in the case. The power under Section 165 of the Indian Evidence Act 1872 (in short the "Evidence Act") was not resorted to at all and that also had led to miscarriage of justice. This goes to show that both the public prosecutor as well as the Court were not only oblivious but also failed to discharge their duties. The High Court, while belittling and glossing over the serious infirmities and pitfalls in the investigation as well as trial, readily accepted the said stand and held that an attempt was being made to bring on record the affidavits by an indirect method, though they were not part of the record of the Trial Court. It further held that no one including the state can be allowed to take advantage of its own wrong and thereby making capricious exercise of powers in favour of the prosecution to fill in the lacuna, overlooking completely the obligation cast on the Courts also to ensure that the truth should not become a casualty and substantial justice is not denied to victims as well. The witnesses who filed affidavits have been termed to be of unsound mind, untruthful and capable of being manipulated, without any material or reasonable and concrete basis to support such conclusions. After having clearly concluded that the investigation was faulty and there were serious doubts about the genuineness of the investigation, it would have been proper for the High Court to accept the prayer made for additional evidence and/or re-trial. Abrupt conclusions drawn about false implication not only cannot stand the test of scrutiny but also lack judicious approach and objective consideration, as is expected of a court. The High Court, after analysing the evidence, has correctly come to the conclusion that the police manipulated in getting false witnesses to rope in wrong people as the accused. When the ghastly killings take place in the land of Mahatama Gandhi, it raised a very pertinent question as to whether some people have become so bankrupt in their ideology that they have deviated from everything which was so dear to him. When a large number of people, including innocent and helpless children and women, are killed in a diabolic manner it brings disgrace to the entire society. If one even cursorily glances through the records of the case, one gets a feeling that the justice delivery system was being taken for a ride and literally allowed to be abused, misused and mutilated by subterfuge. The investigation appears to be perfunctory and anything but impartial without any definite object of finding out the truth and bringing to book those who were responsible for the crime. The public prosecutor appears to have acted more as a defence counsel than one whose duty was to present the truth before the Court. The Court in turn appeared to be a silent spectator, mute to the manipulations and preferred to be indifferent to sacrilege being committed to justice. The role of the State government also leaves much to be desired. One gets a feeling that there was really no seriousness in the State’s approach in assailing the Trial Court’s judgment. Criminal trials should not be reduced to be the mock trials or shadow boxing of fixed trials. The Judicial Criminal Administration System must be kept clean and beyond the reach of whimsical political wills or agendas and properly insulated from discriminatory standards or yardsticks of the type prohibited by the mandate of the Constitution. The modern day "Neros" were looking elsewhere when Best Bakery and innocent children and women were burning, and were probably deliberating how the perpetrators of the crime can be saved or protected. Though a Public Prosecutor is not supposed to be a persecutor, yet the minimum that was required to be done to fairly present the case of the prosecution was not done. This appears to be a case where the truth has become a casualty in the trial. We are satisfied that... in the background of the nature of additional evidence sought to be adduced and the perfunctory manner of trial conducted on the basis of tainted investigation a re-trial is a must and essentially called for in order to save and preserve the justice delivery system unsullied and unscathed by vested interests. Decency, decorum and judicial discipline should never be made casualties by adopting such intemperate attitudes of judicial obstinacy. The High Court also made some observations and remarks about persons/constitutional bodies like NHRC who were not before it. Petition filed by Gujarat government and one of the accused, Tulsibhai Bhikhabhai Tadvi, with regard to Supreme Court judgment on the Best Bakery case. The government’s appeal stated that "fresh trial outside the State of Gujarat is unwarranted, per in curium being not permissible in law, in violation of principles of natural justice, without consideration of real factual scenario, without specific prayer in that regard and reflect adversely on the credibility of the entire judiciary and administration of the State". Judgment delivered by Justice Doraiswamy Raju and Justice Arijit Pasayat on May 7, 2004. The nature of relief sought and the reasons assigned are such that even under the pretext of filing a review such an exercise cannot be undertaken, virtually for re-hearing and alteration of the judgment because it is not to the liking of the party, when there is no apparent error on record whatsoever to call for even a review. The said move is clearly misconceived and nothing but sheer abuse of process, which of late is found to be on the increase, more for selfish reasons than to further or strengthen the cause of justice. Wishful thinking virtually based on surmises too, at any rate is no justification to adopt such undesirable practices. If at all it should be for weighty and substantial reasons and not to exhibit the might or weight or even the affluence of the party concerned or those who represent such parties when they happen to be public authorities and institutions. Such applications are not to be filed for the pleasure of the parties or even as a device for ventilating remorselessness, but ought to be resorted to with great sense of responsibility as well. The extent of falsehood to which the applicant-State has gone demonstrates the deterioration and falling standards in preparation and filing of papers in Court. The monstrosity of the manner in which the Courts below dealt with the matter, though called for stronger and severe handling, we desisted from doing so, keeping in view a fond hope that all those concerned would at least attempt to show better performance, greater circumspection and desired awareness and dispassion to do real, effective and substantial justice. Another aspect, which throws considerable doubt about the bona fides of the State government and its true colours, is the veiled threat of legal action for changed statements and credibility of Zahira as a witness. It sounds more like a stand of the defence and not that of the prosecutor. Reading of the statements in this regard gives an impression as if in the eyes of the state Zahira is the accused who should be in the dock and not the persons who are made accused in the case. That the State government sympathises more with the accused than the victims becomes crystal clear when one looks at the State’s stand that the ramifications of the transfer are serious insofar as "the accused" are concerned. We express our strong displeasure to such exhibition of recklessness and lack of rectitude shown in filing the application with such false and make believe statements in abundance. At the least the aforesaid aspects lead to the inevitable conclusion that the application is thoroughly misconceived, a sheer abuse of process of law and deserves to be dismissed with exemplary costs. But we refrain from imposing any cost. The NHRC filed a special leave petition asking for the re-trial of five cases, including the Best Bakery case, outside Gujarat. 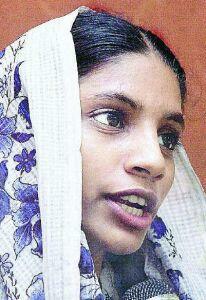 Bilkis Yakub Rasool lost 14 of her family on March 3, 2002. They were fleeing their village Randhikpur in Dahod district, which was being attacked, and were accosted at Chapparwad village. Bilkis, five-months pregnant at the time, was gang-raped. Her three-and-a-half-year-old daughter, Saleha, was killed. The police did not record Bilkis’ First Information Report properly and then closed the case as "true but undetected". Bilkis filed a petition in the Supreme Court asking for an investigation by the Central Bureau of Investigation. The NHRC supported it. The CBI charge-sheet, filed in April 2004, framed charges against 20 accused, of whom six are police officials and two are government doctors involved in the criminal conspiracy to tamper evidence to shield the accused. All the accused and two police officers were arrested. While writing the FIR, the police official "suppressed material facts and wrote a distorted and truncated version" which neither mentioned the names of the accused whom Bilkis had named nor the fact that she was raped. The police official created documents showing that the accused were unknown with the intention of creating false evidence and causing disappearance of evidence. Bilkis was not taken to the scene of crime to identify the dead bodies. She was also not sent to the doctor for examination although she complained that she was gang-raped. Police officers should have immediately preserved the scene of the crime and valuable pieces of evidence. But they did not even bother to get the scene of crime preserved and get the dead bodies properly identified. Dead bodies were not sent for post-mortem immediately. Bilkis was not sent for medical examination. The body of Bilkis’ daughter Saleha was deliberately removed. The number of dead bodies found at the scene of the crime were not correctly mentioned. They did not take Bilkis to the scene of crime to identify the dead bodies. The police did not carry out an identification parade since the accused refused to attend. The policemen started fabricating false evidence and causing disappearance of evidence immediately after Bilkis lodged an oral complaint giving the names of the assailants and the details of the incident, with the intention of causing disappearance of evidence to screen the offenders. Pic 1: VIVEK BENDRE ; Zahira Sheikh. 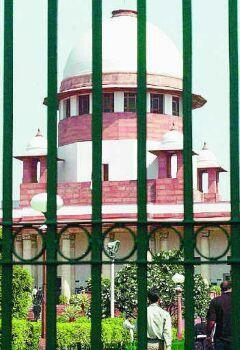 Pic 2: RAJEEV BHATT ; The Supreme Court. 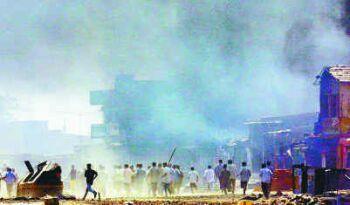 Pic 3: MANISH SWARUP/AP ; Ahmedabad on March 1, 2002. 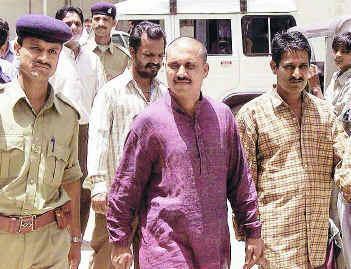 Pic 4: The three accused in the Bilkis Rasool case after being produced before the court in Ahmedabad. 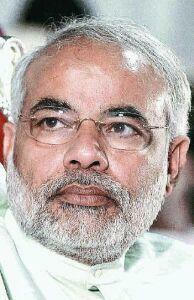 Pic 5: AIJAZ RAHI/AP ; Gujarat Chief Minister Narendra Modi. in Frontline, volume 21 - Issue 11, May 22 - Jun 04, 2004.